“South Park: The Stick of Truth” might be the best TV-to-video-game adaptation ever made. Consistently humorous, matching the hilarity of the source material and well made, developer Obsidian Entertainment wisely uses the “South Park” origins to make a game that should please all players of varied familiarity with the Comedy Central show. While every aspect of the game is polished and well-designed for a role-playing game, the most flattering description of “The Stick of Truth” is that it feels like a playable episode of the show rather than a piece of software that happens to take place in the town of South Park. From the start of the game, “The Stick of Truth” feels instantly familiar and comfortable to anyone who has seen “South Park.” In “The Stick of Truth,” you play as the new kid who has just moved to town. Soon afterward, you run into Butters, Kenny and Cartman as they’re playing a real-life fantasy game of humans versus elves, which you quickly join. 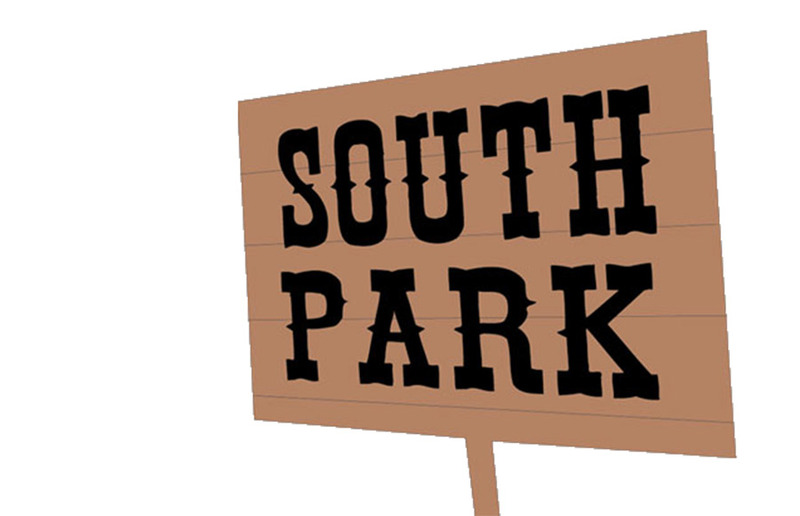 You are later left to explore the town of South Park, meeting and interacting with other characters from the show as you fulfill various quests for them. Without spoiling much, the plot progresses into extremes and hilarity at an exponential pace similar to the TV show’s. Finishing the game takes about 15 to 20 hours. Although this seems short compared to most other role-playing games, “The Stick of Truth” leaves out a lot of filler, making every moment feel crafted and unique. A large factor of this comfort in the transition from TV to game is the graphical style of “The Stick of Truth.” Instead of attempting its own visual style, “The Stick of Truth” mimics the flat 2D art style of the show, using everything from the same voice actors to the same walking animations. Especially during the cutscenes, it is nearly impossible to distinguish the game from the TV show. While exploration of the town of South Park is the highlight of the game, the combat and fighting systems are fun on their own and provide great pacing breaks from the plot. The combat takes heavy influence from traditional turn-based, role-playing games, such as “Final Fantasy” and “Paper Mario.” During each turn, players choose the actions of the new kid and his companion, which include magic fart attacks, weapon attacks, health potions and certain character-specific special abilities. Turns continue until one party is knocked out. Also implemented is a system of timed attacks, in which if you hit the attack button in the moment a weapon flashes, your character will deal extra damage. This system is perfect for keeping the relatively simple combat system constantly engaging without being overly complex such that it becomes distracting from the rest of the game. You’ll fight the typical gambit of South Park villains, such as gingers, meth addicts, homeless people and fifth graders. Looking at “The Stick of Truth” holistically, the well-written story and role-playing aspects complement each other such that the various facets of the experience never feel superfluous. There have been multiple South Park games in various genres, such as “South Park: Tenorman’s Revenge” in the side-scrolling beat-em-up genre or “South Park” for the Nintendo 64 in the first-person shooter genre. These games have been terrible to mediocre at best, mainly because they never actually felt like a true “South Park” story. What the role-playing game genre allows for “The Stick of Truth” is a story that becomes the driving force of the game. And when the game lets the creative genius of “South Park” creators Matt Stone and Trey Parker take the helm, it becomes hard to fail.